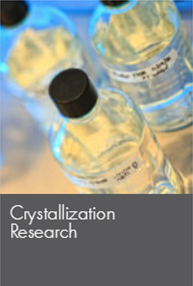 The High-Throughput Crystallization Screening Center performs crystal-growth screening experiments in 1536-well microassay plates for both soluble and membrane biological macromolecules. 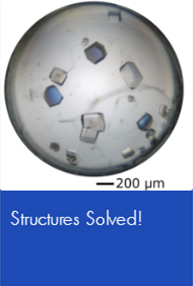 We set up the experiments with a predetermined set of crystallization cocktails, image them weekly over six weeks, and send you those images including SONICC and UV along with analysis software to view them. You send the sample, we do the rest. Send only high purity, non-aggregated, stable protein samples. Include all chemicals required for protein stability. Use low (<25mM) buffer concentration. Avoid phosphate buffer (forms insoluble salts). Strive for 10 mg/ml protein concentration when solubility permits. Do not lyophilize your protein. The current cost for 1,536 different chemical conditions in the soluble or membrane screen is $400 US beginning in May 2018. Users are billed after the sample has been set up (~4-6 weeks). The service is for academic and other not-for-profit users only. If you are a commercial user, please visit our friends, ‘the structure people‘ at www.harkerbio.com. Users must include the pdf form along with the protein solution in a clearly labeled 1.5 ml tube placed inside of a protective container. Ship on Monday-Wednesday to reduce the risk of a weekend delivery delay. Use an insulated Styrofoam shipping container. Use dry ice for frozen samples. 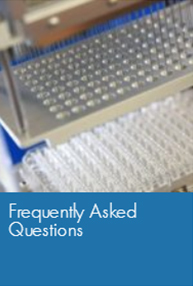 Use gel packs to maintain 4°C or 23°C sample temperatures. 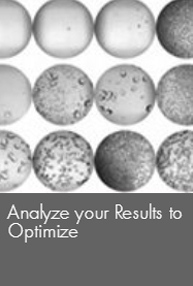 1,536 Microbatch-under-oil crystallization screening experiments are set up with your sample. For the soluble screen, the assay includes an incomplete factorial based PEG/Salt/Buffer screen (688 cocktails) and chemically complementary screens purchased from Hampton Research which includes: Crystal Screen HT, Index, PEGRx HT, SaltRx HT, PEG/Ion HT, Slice pH, Ionic liquid, Polymer Screen, Silver-bullets, and others (848 cocktails). The membrane screen, developed by the Malkowski lab, samples regions of detergent phase space particularly relevant to crystallization (1344 cocktails) with the Hampton Research PEGRx screen (96 cocktails), and the Molecular Dimensions MemGold screen (96 cocktails). Typically the experimental error for delivery of cocktails and/or protein is < 5% (most often the error is < 1%) and we use control experiments to rapidly identify and address any issues that arise. Email notification and immediate access to color images of your experimental outcomes as they are recorded: (i) cocktail only prior to adding sample (control), (ii) plus images taken 1 day, (iii) 1 week, (iv) 2 weeks, (v) 3 weeks, (vi) 4 weeks and (vii) 6 weeks after adding sample. 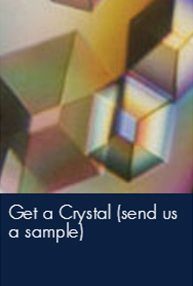 Email notification and access to images from a Formulatrix Rock Imager 1000 SONICC (to identify chiral crystals) and UV-TPEF (to determine if crystals are biological). These images are taken either at ~4 weeks (23°C samples) or ~6 weeks (4°C or 14°C samples). Actual read time may vary slightly and is dependent upon availability of the system. Thus, there are a total of nine sets of images recorded over a period of six weeks. MacroScopeJ software (Java-based, multi-platform) to view, annotate and analyze images as well as associated chemical data. Information will not be publicly disclosed regarding any sample received for crystallization trials without the expressed written consent of the investigator(s). Soluble Screen. Luft, J. R., Collins, R. J., Fehrman, N. A., Lauricella, A. M., Veatch, C. K. & DeTitta, G. T. (2003). A deliberate approach to screening for initial crystallization conditions of biological macromolecules. J. Struct. Biol. 142, 170-179. Membrane Screen. Koszelak-Rosenblum, M., Krol, A., Mozumdar, N., Wunsch, K., Ferin, A., Cook, E., Veatch, C. K., Nagel, R., Luft, J. R., DeTitta, G. T & Malkowski, M. G. (2009). Determination and application of empirically derived detergent phase boundaries to effectively crystallize membrane proteins. Protein Science 18, 1828-1839. We like to keep users up to date with new developments, e.g. improved cocktails, analysis software etc. If you would like to sign up for our mailing list to these notifications, please send a blank message to the following address: Announcements-subscribe@chtsb.org. We can often accommodate special requirements, please contact us at htscenter@hwi.buffalo.edu.